With a couple of small personal projects under his belt, Attila entered the industry with an internship at Halcyon Mobile. 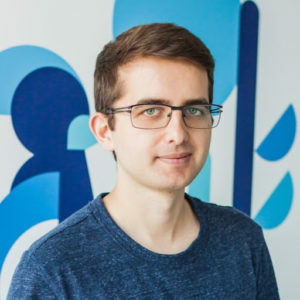 During his years of experience in building digital products for startups and brands, Attila’s love for Android grew bigger than his appetite for the desserts its OSs are named after. Since good things are best when shared, Attila mentors young devs, introduces undergraduates to the wonders of software development, and has recently conquered a stage at Droidcon Berlin too. droidcon is a registered trademark of Mobile Seasons GmbH.